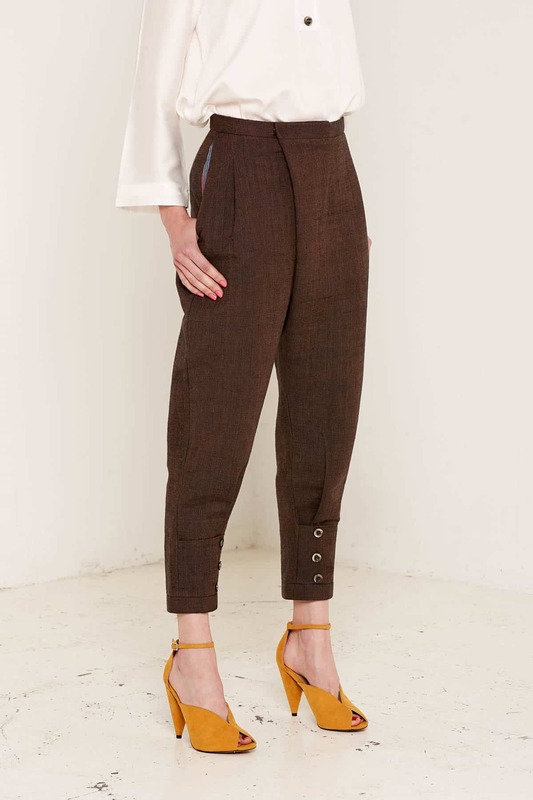 Gorgeous, intricate details make these trousers really stand out as something special. 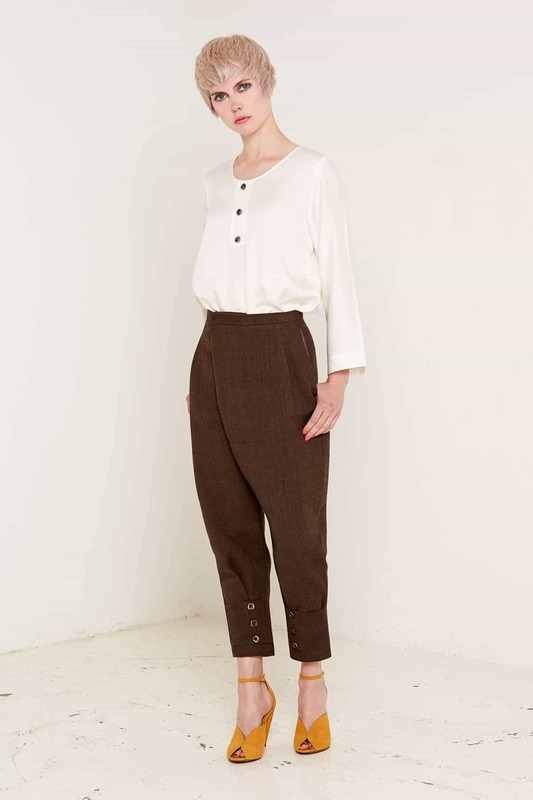 Created with a heavy, high-quality brown or neutral texweave fabric, the trousers have a graceful taper towards the ankle, where they are finished with smart button cuffs and clean, square hems. 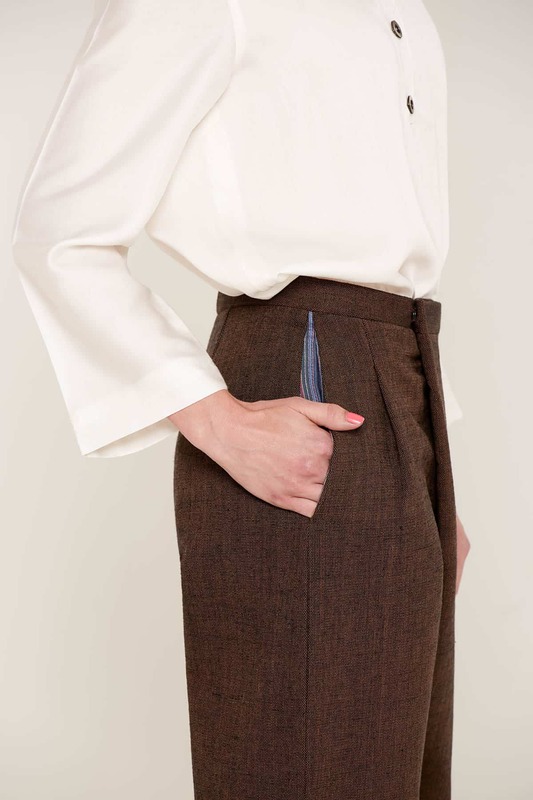 The pockets of the Mercy trousers are lined with a stylish blue and violet vertical stripe. Pair the trousers with the matching Nancy jacket creating a smart, contemporary take on the traditional two-piece suit. We are passionate about creating clothing that is sustainable as well as stylish. The fabric is made on small power looms in Kerala, India. 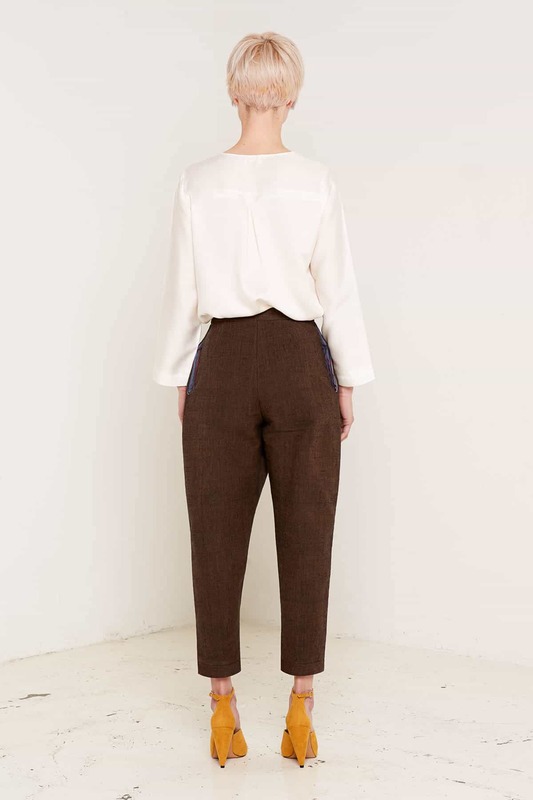 The trousers are vegan friendly, and are made with certified organic materials sourced from fair trade suppliers.